Well, these two definitely aren't going to be friends. 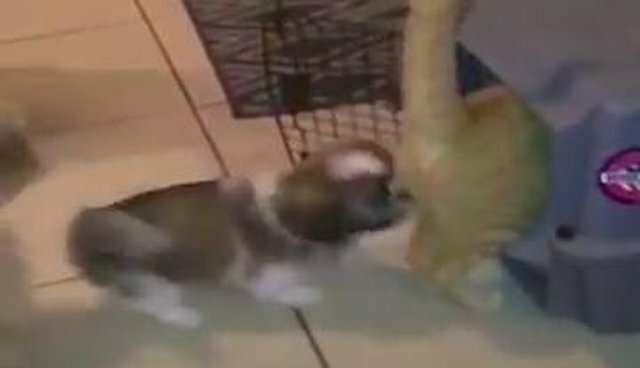 When this family brought their new Shih Tzu puppy, Thor, home to meet their cat, the little orange tabby apparently wasn't interested in playing with the new arrival. Or maybe he just didn't realize he was about to be part of the game. The cat, Simba, was busy checking out the new dog kennel when Thor snuck up from behind. 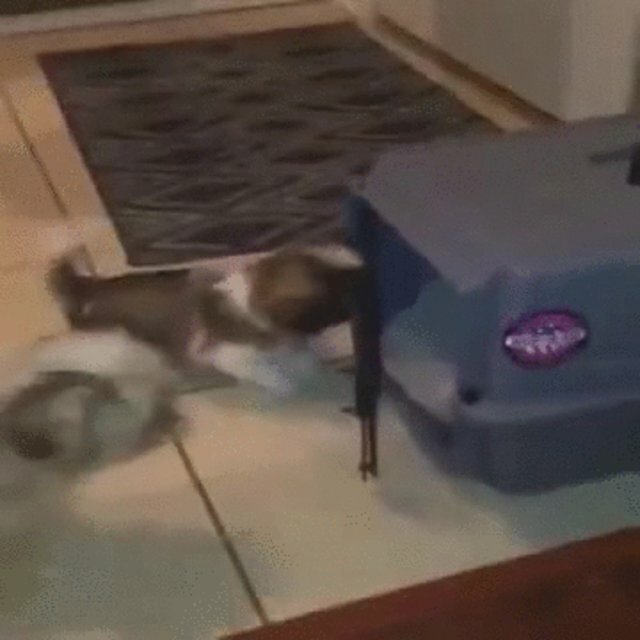 The little pup began nudging the feline into the kennel, but that must not have been working fast enough. 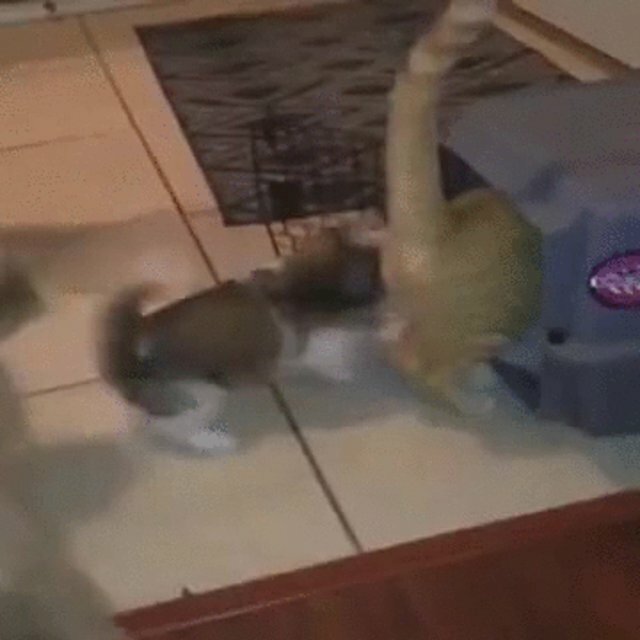 The gregarious little fella runs around to the other side of the kennel door and uses it to push the poor kitty all the way in! He doesn't stop there, though. Before Simba has a chance to escape, Thor pushes the door shut and locks him in! Don't worry too much, though – his triumph is short-lived. 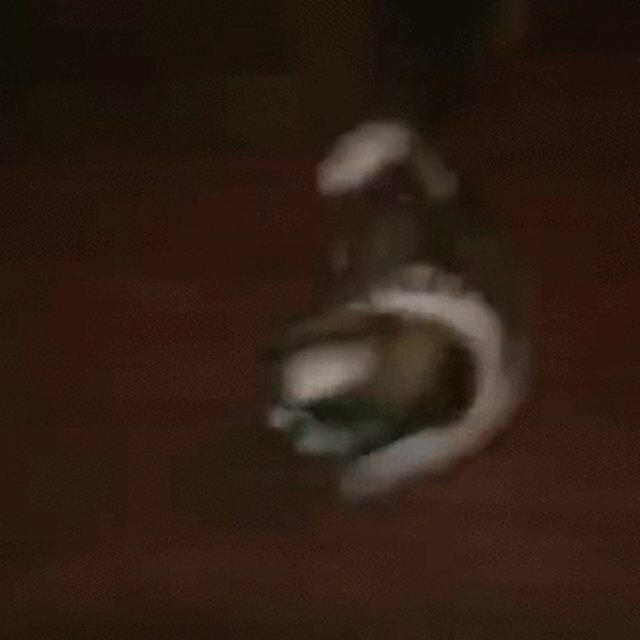 One of their humans steps in to release Simba after a moment. Still, we think it might take a little time before Simba warms up to his new brother after that.